The current software is V21e and can be downloaded via LG's proprietary Mobile Software Updater, as shown above. 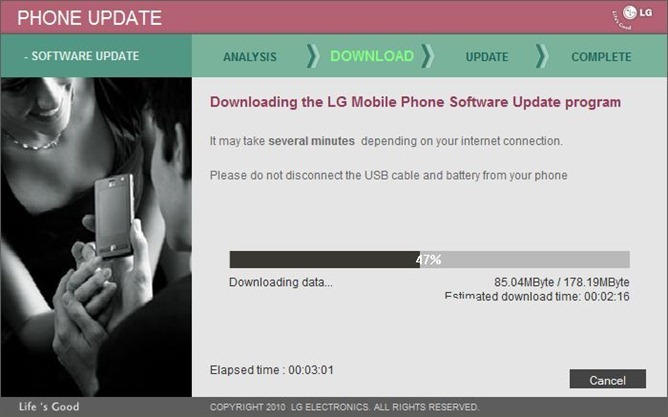 Reports are just starting to trickle in, but we do know the update is 178MB and brings GRI40, or Android 2.3.3. Before downloading and installing the update, you should know that it will break root. Other than that... well, we don't know a whole lot yet, but we'll update if we hear any more major details.